Usually, I am very bad at spontaneity. I like my schedules planned, and invites on short notice are thrown by the wayside with a pseudo celebrity like huff, retorting, "you think I so unhappening ah? Such last minute invites". Actually it's just maintain the illusion of a busy social calendar. Most times, you can find me counting the number of castor sugar grains in the kitchen....slaving over the hot oven. Yes, such is my lot in life. A hermit lives the life of Paris Hilton compared to me. 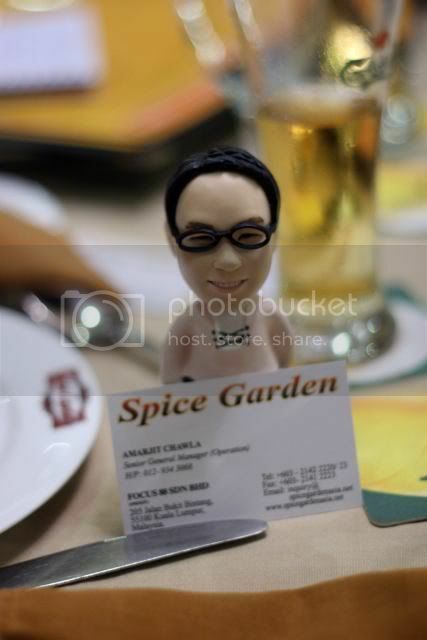 So, on this particular Monday, I get an msn from Fratmustard saying that Aly of Red FM invited us for a food review at Spice Garden. Because most if not ALL of the Red FM crew were indisposed that night, and couldn't make it. Usually, my Monday nights are reserved for Mondayne stuff, such as going grocery shopping, or catching up on Astro Max recordings. I also always try to eat in on Mondays, as a sort of post weekend detox. Honestly, if it had NOT been Fratmustard who asked, and Aly, I'd have probably said, "oh, I can't, I have an appointment with the Pope tonight". As destiny would have it, I said yes, and boy, am I glad I did. For starters, the company was wonderful. Not as in we ate our company for starters, but yeah, the actual starters were good too. I mean, in the first place, the company was sterling, and cosy. Aly, her younger sister Cheryl, Frat, Kah Wai the friendly photographer of Red FM, and the owners of the restaurant... a very animated Mr Amarjeet and Mr Selvam. 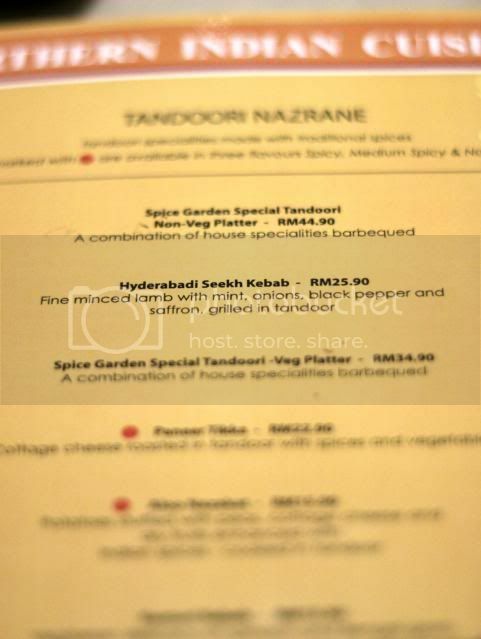 Spice Garden is located just before the Westin, and if coming from Jln Raja Chulan, you have to veer left after Pavilion and make a sharp left turn after the lights before Jln Bukit Bintang. It is housed in a nice old bungalow, with ample parking. We didn't have to order, and left the menu in the good hands of our hosts. Papadams, but not like the usual papadams you get normally. These felt like they had been made from scratch. Something very special about them. 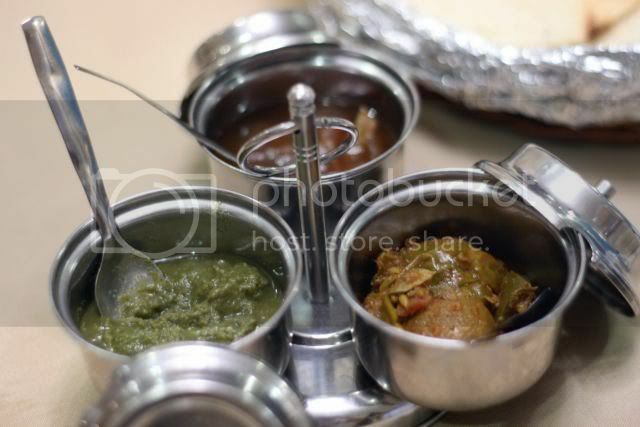 Various condiments, including the most wonderful mango chutney, imported from India. 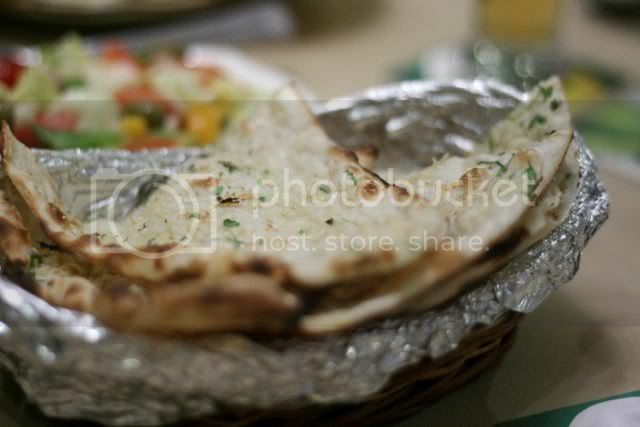 Although the place is predominantly northern Indian, they also serve middle eastern fare. 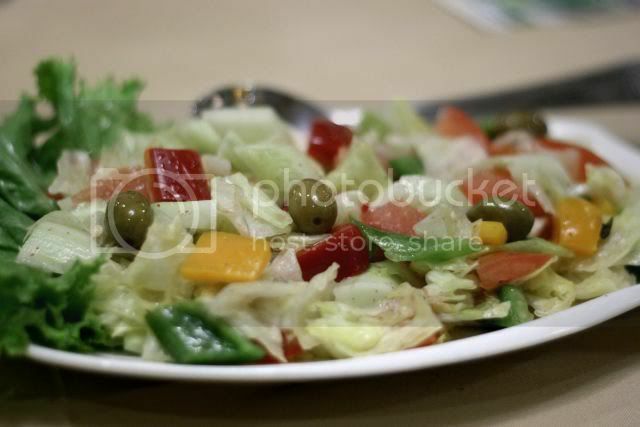 The gorgeously colorful salad above is a middle eastern salad, complete with olives. I think he said these were Masala Papadams. 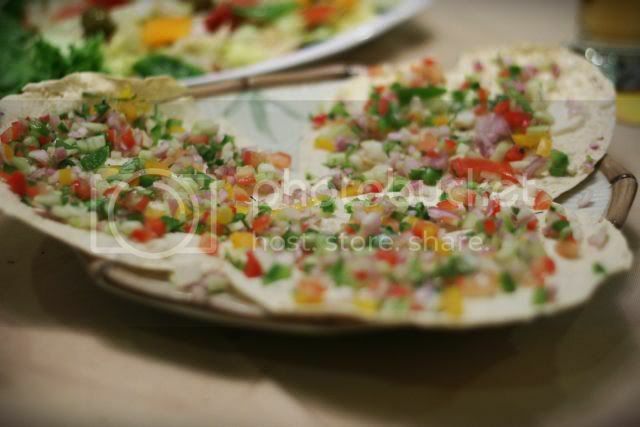 Such a kaleidescope of colors adorning the plain papadam. Much like a bride. 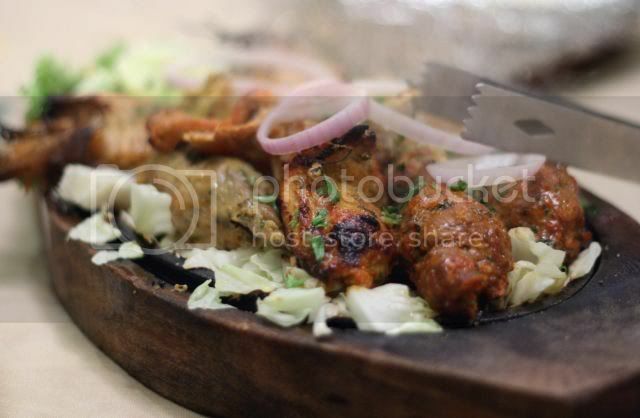 A sizzling platter of chicken and lamb, fish and prawns. All the ingredients were fresh, and the lamb was outstanding. The myriad spices that went into the marinade must have been astounding. This is why I think Asian cooking is so much harder, than say the average Western meal. All that pounding and grinding of spices. An absolutely delicious Garlic Nan. 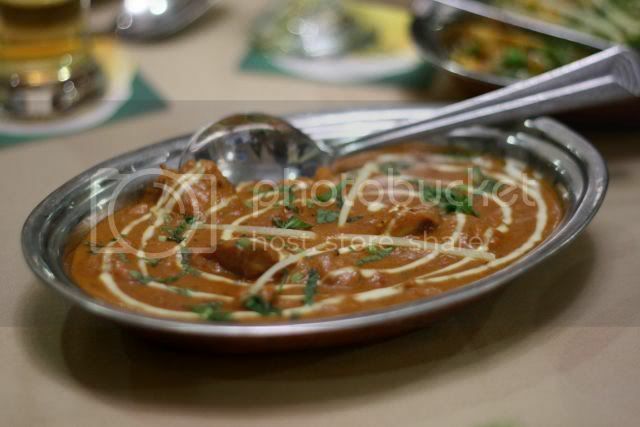 The perfect spouse to soak up the glorious gravy afforded by the other curry dishes. 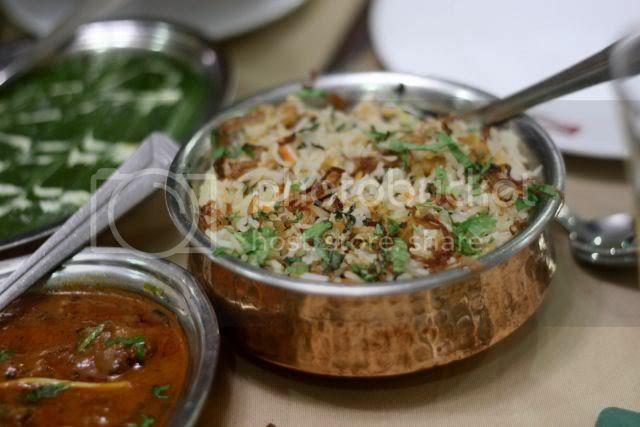 Check out that fluffy prawn briyani. Yes, very unique. 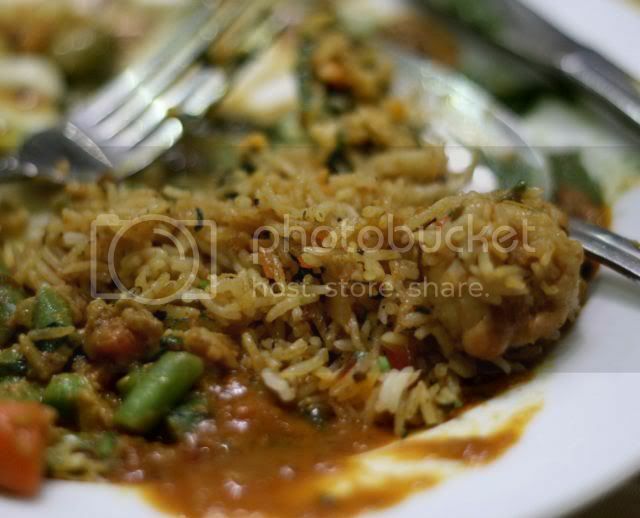 Prawn briyani. The prawn within the rice was fat and plump. 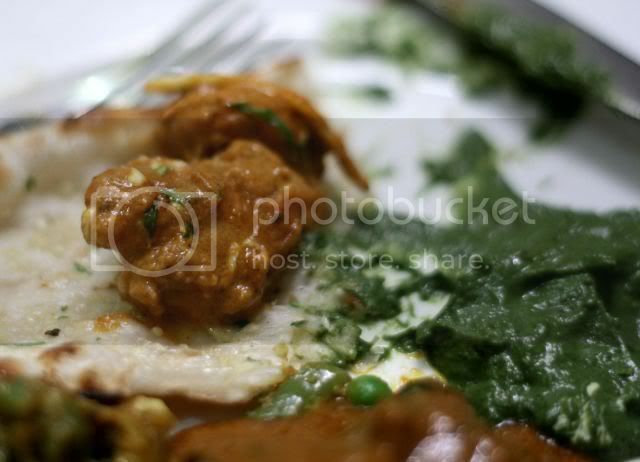 The Palak Fish was good. 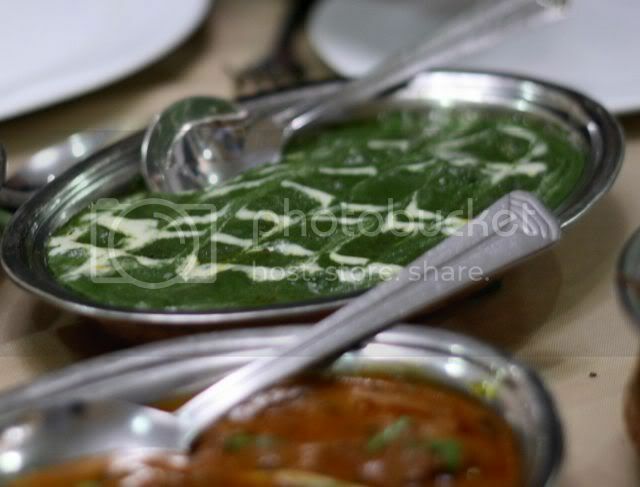 I love the spinachy gravy or sauce that engulfs the fish.... usually I am more accustomed to the normal palak paneer, so this was a different take on an old familiar favourite. 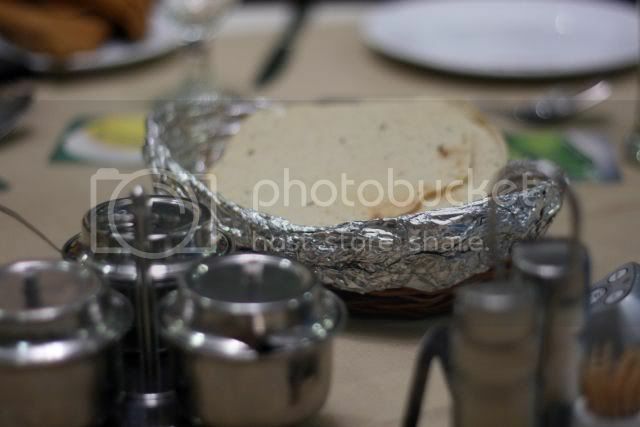 The curry above also complemented the briyani and other rotis very well. While there are no dancers in the restaurant, the upstairs portion houses a Bollywood Night club complete with dance floor and dancers. A whole new world that is, and I look forward to reading about if from either Aly or Frat, since I cannot quite find the correct words to articulate that very evocative experience. Yes, words fail me. 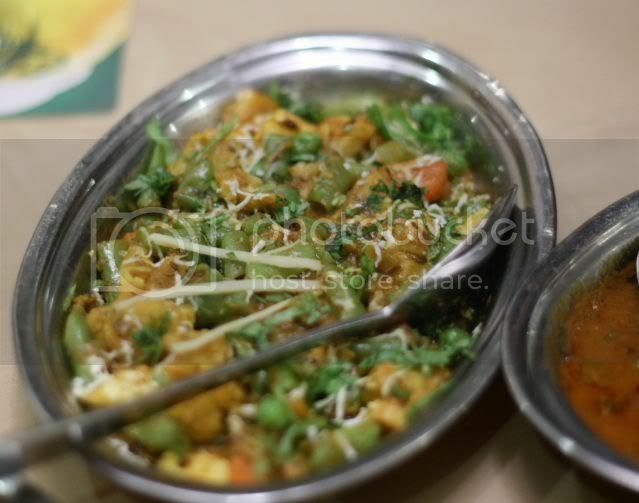 A most delicious dhall curry. Very refined, not like your average mamak kind of dhall. Never a dhall moment here. All the stuff put together into a delicious combination. I can truly say its one of my best Northern Indian dining experiences thus far. Frat ate till he dropped. 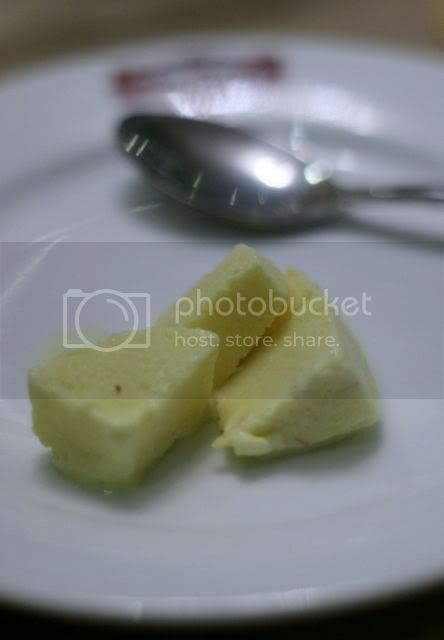 Kulfi ice cream. Usually I find kulfis too sweet. This one surprisingly was not overly sweet, and had a wonderfully creamy texture. 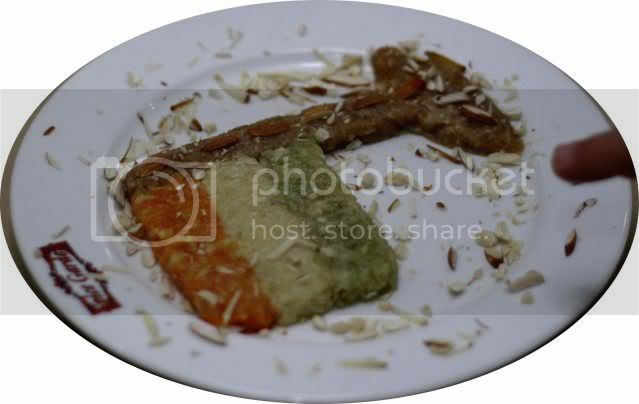 Halwa, in the colors of the Indian Flag. Carrot, cauliflower and another flavour... again, surprisingly not overly sweet and absolutely delicious. 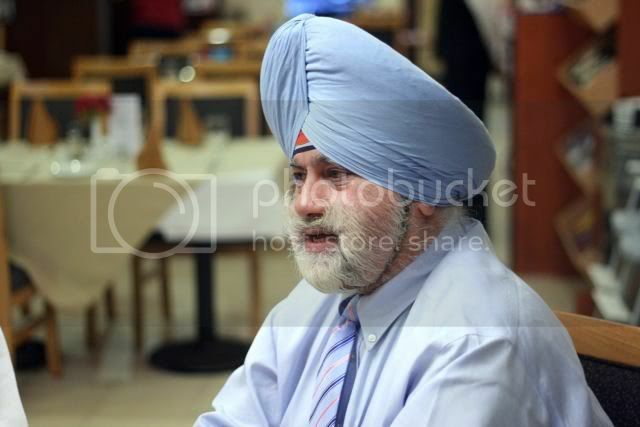 Our gracious host for the night, Mr Amarjeet Singh, who hails from New Delhi. 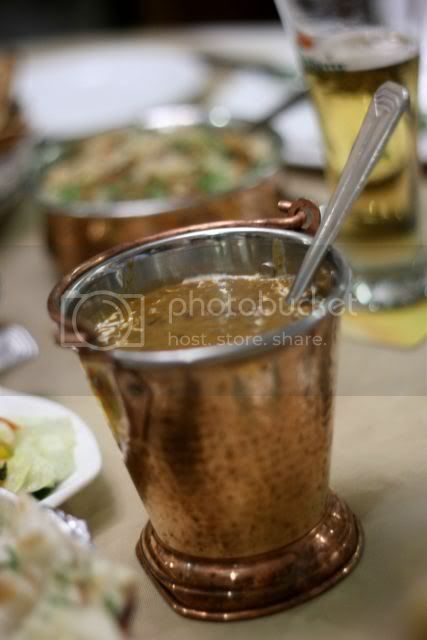 What a great discovery, for excellent Indian food. Mind you, the place does get rather crowded, because of its location in Bukit Bintang, and a lot of walk in tourists patronize the place too. While we were there, the MCA Aunt Agony, Dato Michael Chong was in a private room. It was also the day after MCA elected their new president, of DVD fame. Thanks Aly for asking us, and thanks to the owners of Spice Garden for an absolutely delicious spice filled meal. Latest: Aly has also reviewed the restaurant HERE. frat really looked like he died eating that meal! excellent write up - saw aly's and now yours - making your ahmei hungrrrry! how can u fail to find words to describe the upstairs event? anywhere tat serves good butter chicken is a good place..
i can always skip the upstairs rite? I prefer southern-style papads (the ones you usually get frm banana leaf joints). The northern ones are too spicy for me. Such vibrant colours. Lovely pictures and write-up Ah Pa! 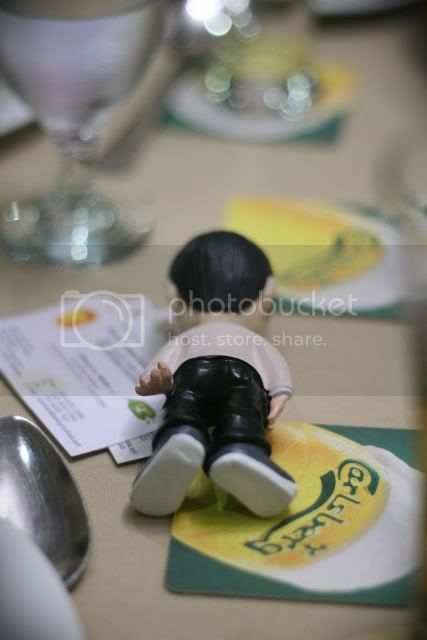 Btw, I'm loving the low angle shots of these pictures! Really nice! Northern indian is so good when done right! Heard frm unka abt yr err.. interesting 'show' with the upstairs crowd! Should hv shown us some shots! aly dear, thanks for the invite! isnt that what i said? she's your younger sister mah. christy, hahah, indeed it was. as i said, never a dhall moment. monkey, what low angle ah? we should all go there one day...and let thamby order. her turf ma. bangsar babe, awww thanks. enjoying retirement ah? thule, next to menara kek seng, which is next to westin. 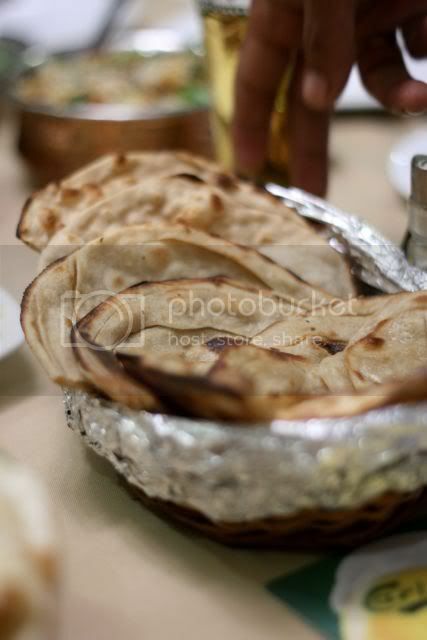 gfad, these poppadums werent spicy. its grainier than the usual banana leaf ones..and less salty. aiyo, i've had poppadums that make the dead sea seem saltless. ahmei ah, you so thin, can get hungry one ah? just nibble on some air la. that'll fill you up. Awesome pics there mr bakes.. if there's any reviews u want to include me just drop me a line.. cheers..